The children's author is interviewed on CBC's Midday in 1985. The Cat Came Back may be one of Fred Penner's best-known songs, but it's not entirely his. "I didn't write it. I have to dispel that rumour," Penner told CBC interviewer Peter Downie in 1985. "I hate to do it on national television." Fred Penner tells CBC's Midday about the genesis of his most popular song. 0:28 Penner added a few verses, sure, but he discovered the name and original melody for The Cat Came Back in an encyclopedia of folk songs. The song dates to 1893 and is credited to Tin Pan Alley composer Harry S. Miller. 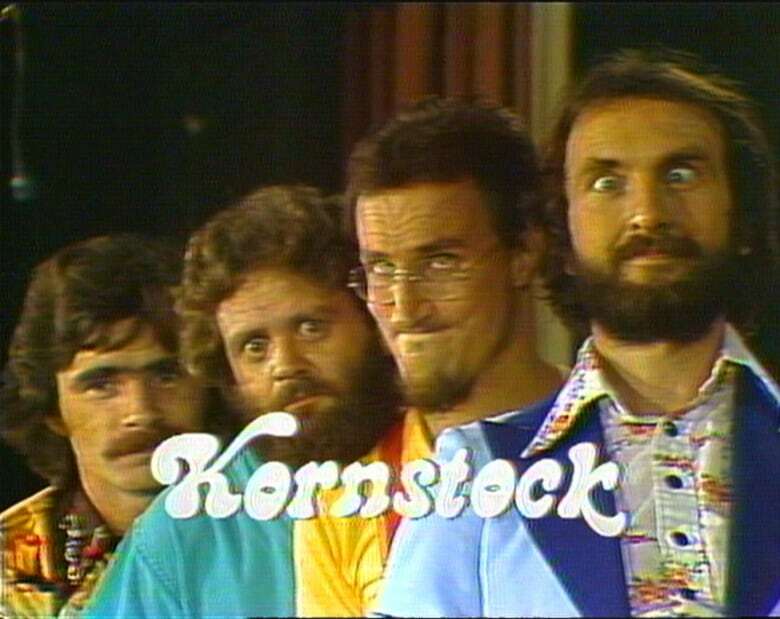 Fred Penner (right) poses on a CBC-TV special with Kornstock, his first band, in 1976. Also seen (l-r): Bob King, Bill Klym and Al Simmons. King and Simmons also went on to successful solo careers as children's performers. Five years later, the Winnipeg musician's album count was up to four, and he had a new show, Fred Penner's Place, on CBC-TV. As he discussed on Midday, he had a theory for why so many children's musicians of the era — Raffi and Sharon, Lois and Bram — were successful compared with their American counterparts. "The whole American ethic is to take an idea and build it as big as possible," Penner said. "They don't have the grassroots people going into communities ... because nobody has ever done that, they've never gone into a community to sing for their children."